For people who never tasted Spam, it may be understandable why they have less than positive opinions about it. Many may feel Spam is the Rodney Dangerfield of canned meats. This is because it gets no respect. For such individuals, it may seem difficult to comprehend why the people eat so much Spam in Hawaii. 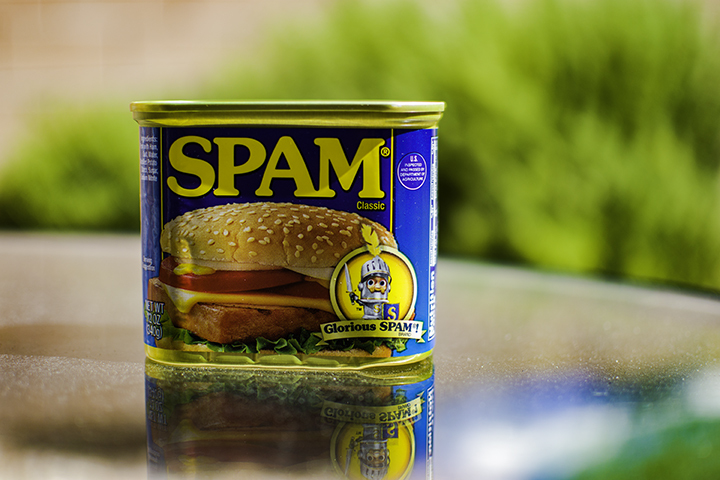 More than just a trendy meat, Spam has a history with Hawaii that started in the 1940’s. After the attack on Pearl Harbor launched America into World War II, the military presence in Hawaii increased. On the heels of the Great Depression, sufficient quantities of meat were hard to come by. And the troops needed a consistent supply of rations with a long shelf life. Spam is supposedly short for spiced ham. Hormel Foods developed this luncheon meat in 1937 from pork, salt, water, potato starch, sugar and sodium nitrite. Intended for the US military, Hormel Foods shipped 15 million cans of Spam per week during World War II. Because of this history, many from the US mainland have looked down on this luncheon meat. While others think this something you buy only because you can’t afford anything else. Nicknames for Spam have included: special army meat, special processed American meat or shoulders of pork and ham. A Monty Python comedy sketch even spoofed Spam in 1970. Despite this, since Spam’s first appearance in Hawaii, kama’ainas (long-time residents) have developed a genuine appreciation for it. Whatever the reason, be it heritage or taste preference, it is clear that Hawaii loves Spam. While there are other competing brands, people of Hawaii overwhelmingly choose Spam as their preferred luncheon meat. Probably the most popular Spam dish in Hawaii today is the Spam musubi. Musubi is Japanese for a rice ball. 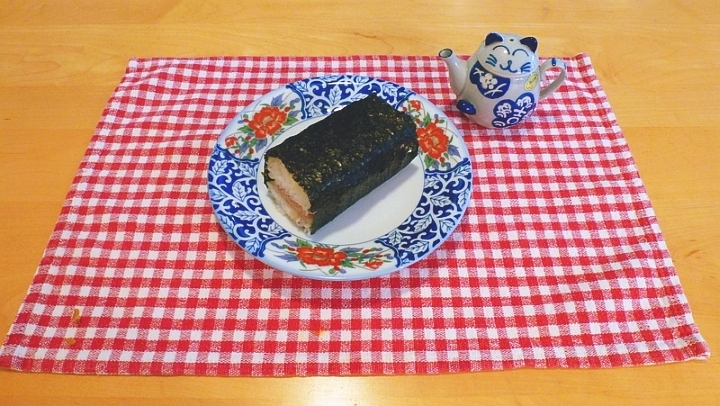 In the case of a Spam musubi, one places a slice of fried Spam onto a rectangular shaped mold of rice. And then you wrap it with a sheet of nori or dried seaweed. There are even other ways to jazz-up a Spam musubi. You can even marinate Spam in teriyaki sauce. Season the rice with furikake, a Japanese rice garnish. Or you can add a thin slice of scrambled egg between the rice and Spam. These combinations create an even more delicious way to eat this local dish. While many make them at home, you can buy Spam musubis at local convenience stores and other fast food establishments. Fried rice with Spam is also a popular local favorite. One makes this dish by first slicing and then frying the Spam. Then one adds and fries white rice with the Spam. Season it with pepper, soy or oyster sauce. And then add vegetables, sliced green onions and scrambled eggs. It’s a fairly easy and fast dish to make, especially when you have leftover white rice at home. Fried rice with Spam can be also be found and savored at many local diners and cafes. Spam with fried eggs and white rice is Hawaii’s equivalent to the mainland dish of sausage, eggs and hash browns. In addition to ordering it at restaurants, you can even order Spam at McDonald’s for breakfast in Hawaii. A bento is the Japanese word for box lunch. Because Japanese culture has had a heavily influence in Hawaii, it’s not surprising that bentos are very popular. You can get bentos for lunches and dinners at many fast food establishments and convenience stores throughout Hawaii. A typical bento typically consists of fish, chicken or some kind of meat and maybe a side dish on a bed of rice. A good many number of bentos include fried Spam as one of their choices of meat. One of Hawaii’s most popular comfort food is saimin. Saimin is Hawaii’s equivalent of ramen, a Japanese noodle and soup dish. Like ramen, saimin can be eaten made from scratch at local diner. But it is also available in many store-bought instant varieties. 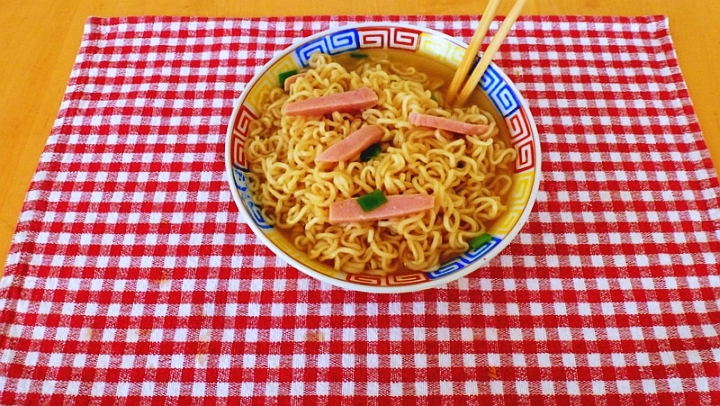 Whether fresh-made or pre-made, many Hawaii residents garnish saimin with slivers of tasty fried Spam. People celebrate Spam in Hawaii with a popular festival in Waikiki in April or May each year. The Waikiki Spam Jam starts with a street festival that is one of the top food events in Hawaii. Although not long in duration, it’s an enjoyable experience for kama’ainas and malahinis (tourists) alike. Nearly 25,000 people attend the event every year. Tents set up along the streets provide a fun atmosphere for shoppers to purchase Spam-themed paraphernalia. The two stages host live shows throughout the festival. Here, several popular Honolulu restaurants offer Spam dishes. Some include: Spam-burritos, Spam and curry, Spam lettuce wraps, Spam pancake sliders and even ice cream with candied Spam. For those who want to experience a wide range of Spam dishes, this event is a must. For more interesting facts about Spam, visit the Official Spam Homepage.